Dissertation Committee Members: Dr. Walter Hawthorne, Dr. Pero Dagbovie, Dr. Glen Chambers Jr. 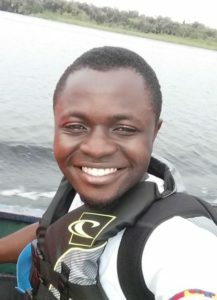 I am a doctoral student in African History and an Akan language fellow in the Residential College for the Arts and Humanities at Michigan State University. I am advised by Professor Nwando Achebe. My dissertation research investigates the (environmental and social) history of the Nzulezo community (and its people) in southwestern Ghana. Nzulezo is one of the few communities in West Africa that is built on stilts and situated in the middle of a river – here, the Amanzule River. My research traces the origin(s) of the people of Nzulezo from the Mali Empire to southwestern Ghana, paying keen attention to (1) the migratory patterns of the people, (2) the people’s changing strategies of adaptation to both micro- and macro-historical phenomena such as the Atlantic slave trade, interethnic wars, and colonialism that transformed societies in southern Ghana during the seventeenth through the twentieth century, and most importantly (3) how societal organizations, as well as people’s sustained relations around water, tell us about how and why the people of Nzulezo continue to live in the middle of the Amanzule River.